Mobile robots improve patient care, employee satisfaction, safety, productivity and more. 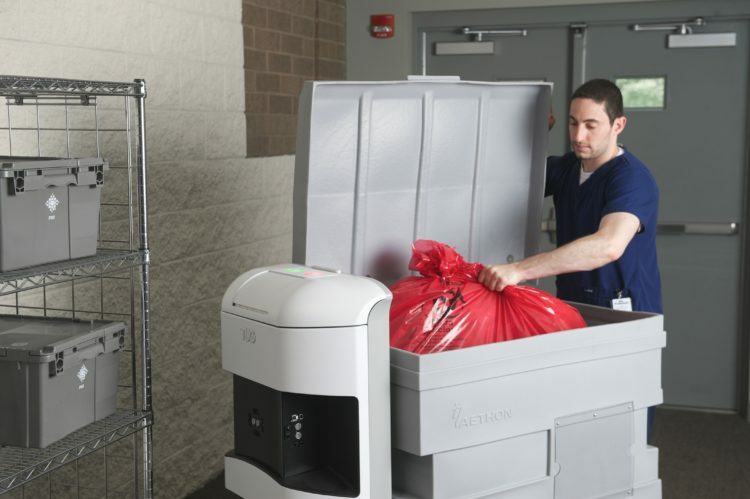 The TUG autonomous robot works 24/7 moving materials and clinical supplies almost anywhere you need it moved while reducing cost-per-delivery by up to 80%. TUG adds real value virtually everywhere. TUG was designed with nurses in mind. With TUG, nurses know when meds, meals, supplies and tests are arriving. No more chasing. No more calling. No kidding. The result is higher job satisfaction and more time for patient care. TUG securely delivers medications to nursing units. It secures and automates deliveries that are normally made through pneumatic tubes or manual couriers including controlled substances and refilling carts. TUG eliminates the headaches and restrictions associated with pneumatic tube systems. 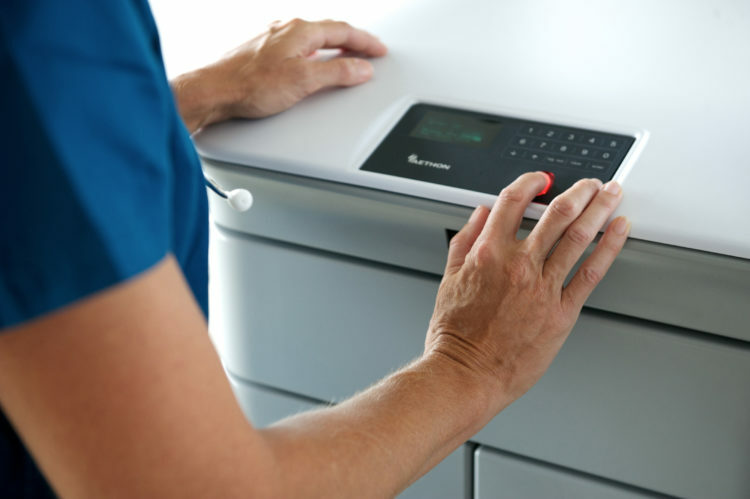 Best of all, by using biometric security and unique pin codes, TUG ensures only authorized medical personnel add or remove specimens to the secured cabinet. TUG provides automated, cost-effective delivery of meals to patient floors and returns dirty trays to Food Service. 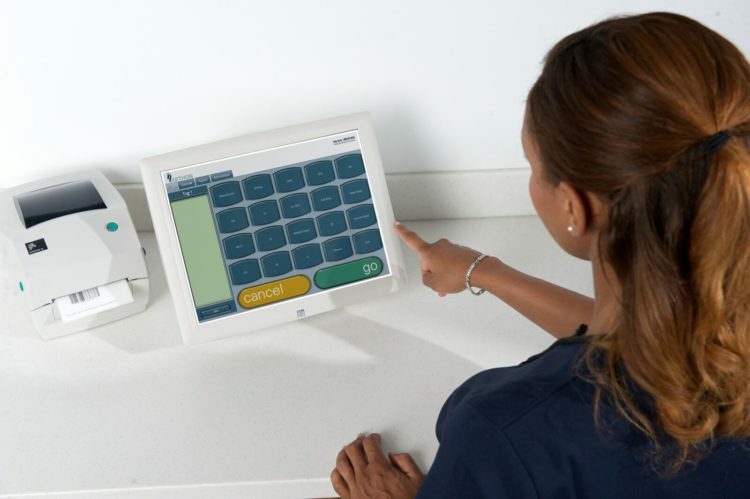 With TUG, staff can spend more time managing dietary needs and interacting with patients. TUG is a safer, more efficient way to manage waste removal. The system also integrates to automated dumping equipment so the cart can empty without employee assistance which is especially useful after hours. TUG safely provides scheduled and on-demand delivery of linens to nursing units. Housekeeping staff don’t have to leave the unit for linen supplies, because TUG delivers wherever the supplies are needed. For the pharmacy and laboratory, TUG provides advanced security. 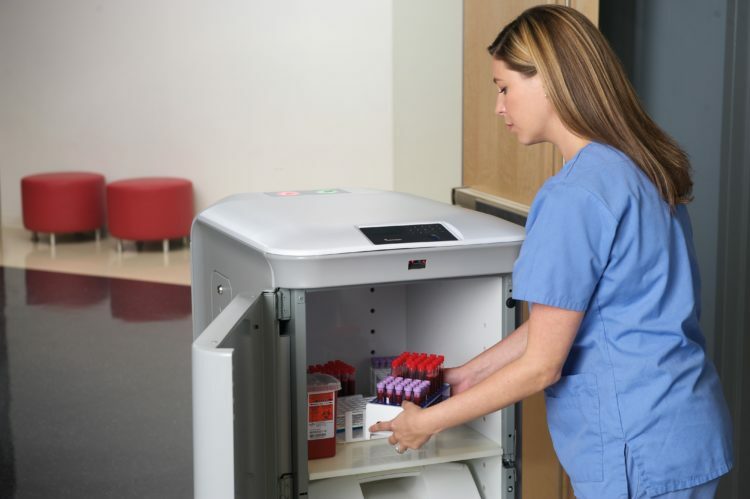 Innovative integrated drawer and door carts provide biometric security plus pin code access to protect and ensure secure delivery of sensitive medications or laboratory specimens while freeing up staff to focus on patient care. For hospital clients, on average, TUGs move materials and supplies over 370 miles every single week. Load the cart, use the touchscreen and TUG takes it from there. Literally!